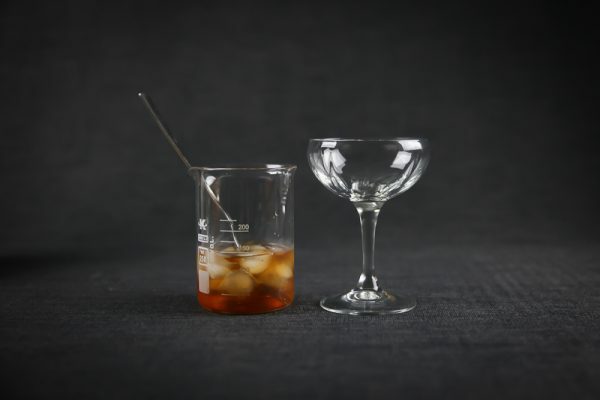 This Hearst Cocktail recipe will give you the perfect Hearst cocktail and we’ll take a very brief look at the history of this delicious cocktail as well. This Hearst cocktail recipe will give you a perfect Hearst Cocktail, that is good news since this is a great cocktail. 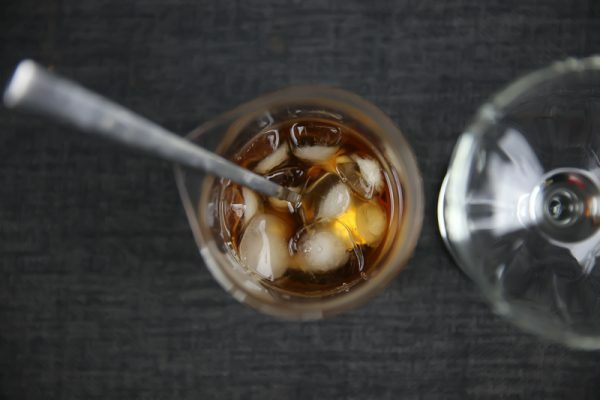 It is on the boozy side of drinks so more for sipping than drinking I guess but what’s wrong with that? 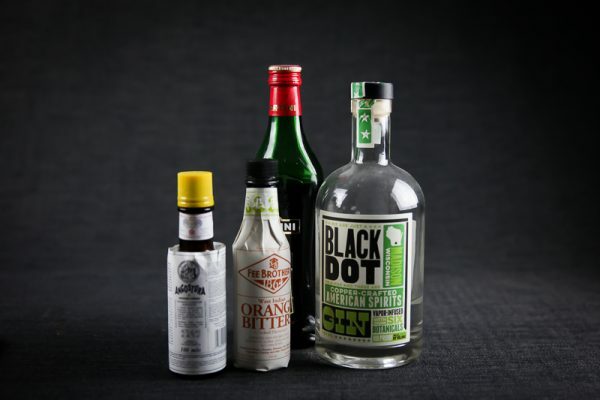 The base spirit is gin and that is combined with red vermouth and two types of bitters. This gives you a strong drink with a bitter aftertaste. If you’re a regular visitor here you might notice that this drink is very similar to the Hanky Panky Cocktail. 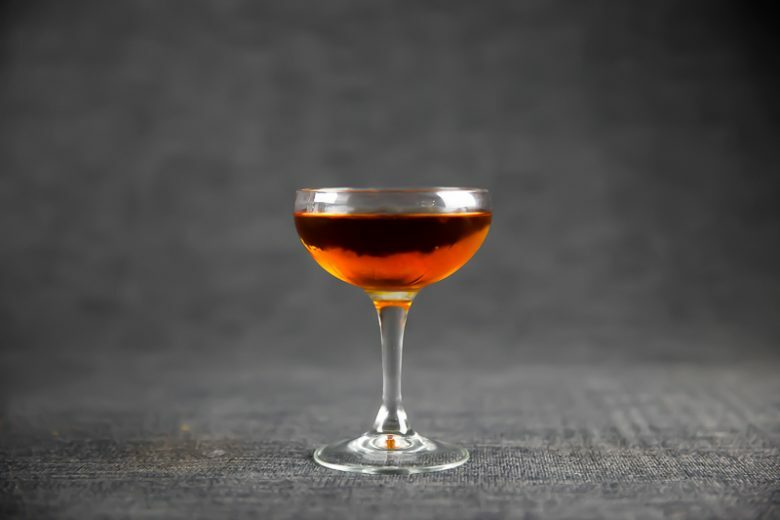 The ratio is a little bit different and there is Fernet Branca in the Hanky Panky instead of the other bitters that are used for the Hearst cocktail. You could also describe it like a Martini with too much vermouth but that’s not really true either. 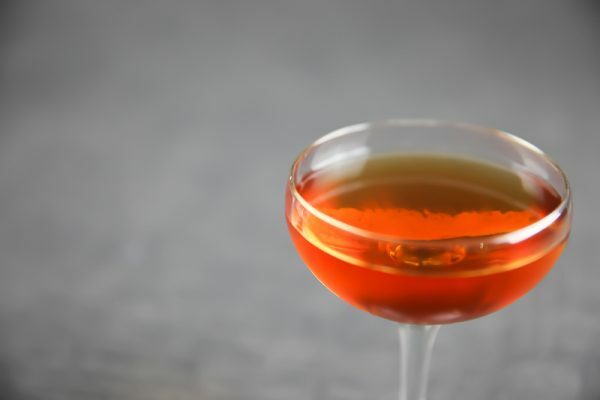 Sure at first glance it can seem similar to the Martini but the red vermouth instead of dry vermouth and the bitters turns this into something different. 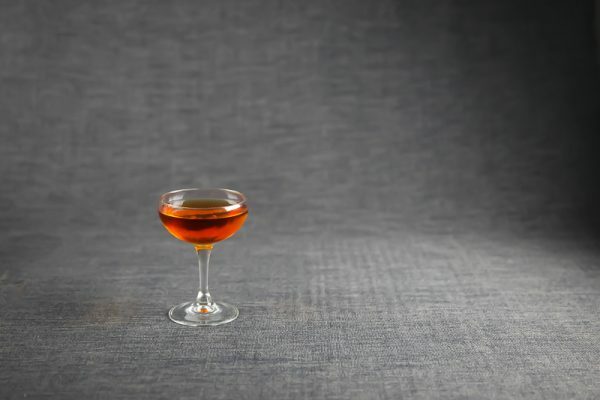 There’s not that much history to know about the Hearst cocktail. According to the Waldorf Astoria Bar Book, it was invented by the men working for the newspaper magnate William Randolph Hearst. They would take a break at the Waldorf Astoria when they happened to be in the neighborhood, which I’m guessing was as often as they possibly could. So Hearst himself might never have had the Hearts Cocktail. But the image of a bunch of newsmen hanging around at the Waldorf Astoria and getting drunk on cocktails is not a bad one either is it? Now let’s make the cocktail. Add gin, vermouth, and bitters to a shaker, add ice and stir for about 30 seconds. 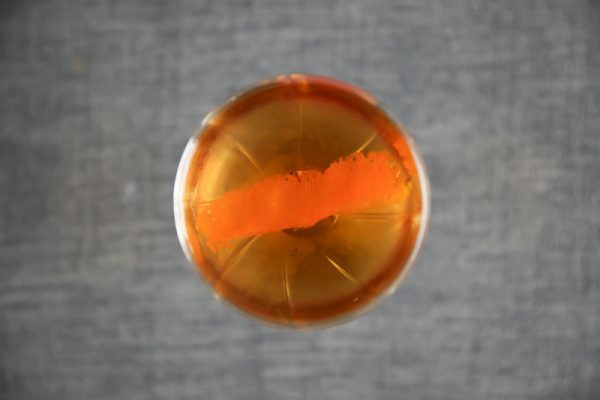 Strain into a cocktail glass. Garnish with an orange peel. Serve. The bitters are essential to this recipe, for more on bitters and how to use them read my full guide on bitters here.